Contractors have a lot on their minds. You have to meet the demands of staying on schedule while trying to simultaneously stay under budget. There are all of the various state and community regulations and codes that you have to make sure you’re up-to-date with. And, finally, you have to make sure that your customers are happy! With so much on your plate, we understand that contractor soundproofing solutions may seem like just another stress to worry about. That’s why we wanted to put together this handy guide on soundproofing for contractors. As experts on acoustical solutions for contractors, we know how much value soundproofing can add to a property. For families with high-energy kids or neighborhoods near high-traffic thruways, soundproofing can drastically improve anybody’s quality of life. But we also know that contractor soundproofing is a rapidly evolving science, making it hard to stay informed about new developments. That’s why we’re taking care of the details of contractor acoustical solutions so you can focus on everything else. Join us as we explore the many benefits of soundproofing for contractors. Not only will we explain the many advantages of the latest technologies, but we’ll even provide you will some particular product suggestions, helping you save valuable time and money! Before we explore some specific soundproofing solutions for contractors, we want to briefly outline the science behind soundproofing. The International Building Code (IBC) has established several metrics for measuring the transference of acoustical vibrations. Limiting this transference is the essence of soundproofing. There are essentially two kinds of in-home sound generating vibrations relevant to homeowners, and there are separate tests specifically designed for one or the other. Simultaneously, there are two types of measurable vibrations that are generated outside the home, and again, there are tests that can help determine soundproofing needs. We’re going to outline these testing types and ratings and briefly explain their significance for contractors. Impact Insulation Class, or IIC, testing is designed to measure the amount of sound generating vibrations caused by impacts. The most common in-home impacts are footfalls. Of course, the larger (or younger) the family, the more sound will be generated by daily in-home impacts. Specifically, the IIC test, performed on materials in a lab, measures the ability of contracting materials to resist and block impact sounds or other structure-borne vibrations. IBC minimums require an IIC score of 50 or higher. Unlike IIC testing, Sound Transmission Class (STC) testing measures the transferences of airborne sound vibrations, like those generated by TVs, stereos or the human voice. Because they are transferred differently than those vibrations generated by the actual impacts upon a home’s structure, it’s important that soundproofing materials are tested for both. And again, depending on the size of the home and/or family, STC testing is an important step in ensuring that a family’s home is adequately quiet. Like the IIC test, the STC test is performed in a lab, using a standardized noise-making device and a decibel reader in another chamber separated by the material being tested. And, like the IIC test, a score of 50 on the STC test is the established IBC minimum. While in-home sounds are easily simulated, some field testing is also recommended by the IBC. Like IIC and STC testing, the types of sound vibrations are divided between impact vibrations and airborne vibrations. Field Impact Insulation Class (FIIC) testing is valued because it’s the only method by which contractors can test the ways various building materials interact within sound transmission. While two soundproofing materials may both test well, there can be unforeseen interactions when they are combined. This is an especially important test, as the kinds of airborne sounds that are generated outside of a home are often considerably different than those generated within the home. Sounds produced by airplanes or loud highways are hard to measure within a lab, since they are significantly noisy but are often generated quite a distance away. Additionally, like FIIC testing, Field Sound Transmission Class (FSTC) testing is a crucial step in ensuring that soundproofing materials are working well together. For a contractor looking to ensure that a newly built or renovated home is as robustly soundproofed as possible, all four IBC-approved testing approaches should be incorporated. Specially designed soundproofing materials will already be thoroughly tested within a lab, which means that, for relevant products, IIC and STC testing data will already be available. However, field testing cannot be performed until the build is already underway, meaning contractors should consider including such tests within their construction schedules. In addition to the results of the various tests discussed above, you’ll often see soundproofing products with data listed in terms of Noise Reduction Coefficient (NRC) and Sound Absorption Average (SAA). NRC numbers reflect the ability to either reflect or absorb sound when the surface of the product is struck. An NRC rating of 0 represents total reflection of sound and a rating of 1 represents total absorption. SAA represents a very similar measurement and is likewise presented in a range of 0 to 1, but the data reflects a wider band of sound being tested. While NRC ratings are more than sufficient in most housing situations, SAA ratings are helpful for certain specific applications, such as music studios, where the range of sound is more extreme. In addition to sound absorption testing, it’s also important for any contractor to be aware of the flammability testing data available for soundproofing products. Products that are rated “Class A” are considered non-combustible. Flammability ratings are especially important for meeting building codes, so it’s crucial that your soundproofing materials are simultaneously tested for flammability. We now want to spend some time exploring some specific soundproofing solutions, highlighting the various statistics available and indicating why each solution is so effective. One of the best ways to provide unparalleled insulation and soundproofing is to turn to a product like Quiet Batt™. This material is designed to take the place of the standard pink fiberglass insulation, and it presents a number of advantages over the pink stuff. To begin with, unlike fiberglass insulation, Quiet Batt™ doesn’t irritate your hands, which makes it considerably easier to install without gloves. For contractors looking to squeeze precious time out of their building schedules, this is a huge advantage. Plus, it comes precut in either 16” or 24” widths, making it easy to install. Quiet Batt™ is also rated as Class A in terms of flammability. Finally, this solution boasts an NRC rating of .95 and SAA rating of .94, meaning it virtually provides 100% sound absorption, making it far superior for soundproofing when compared to other insulation materials. This product is both easy to install and versatile, as it’s designed to be used in both interior and exterior walls. So, if you’re looking to take the soundproofing of a newly built or renovated home to the next level, Quiet Batt™ is a great place to start! Unlike insulation, acoustic panels can be added after the majority of the build has been completed. Acoustic panels come in a number of different forms and materials, but they’re all designed to elevate the sound absorption ability of your walls. They are an especially effective solution if you anticipate that one or two rooms — such as a workshop or a kid’s room — are going to be problem areas for sound. Some of the most popular and effective acoustic panels are fabric-wrapped fiberglass panels. Because they can be made to order and completely customized, they’re appealing to homeowners who want style in addition to functionality. In fact, an acoustic panel customized with artwork or family photos can be indistinguishable from standard wall art. Our Udderly Quiet™ fabric-wrapped panels are rated Class A for flammability, meaning they can easily be installed without any concerns about increased combustibility. Just as Quiet Batt™ is an unrivaled solution for soundproofing walls, adding a soundproof-designed flooring underlayment is a great way to reduce noise — especially impact noise — between the floors of a home. As flooring underlayments are standard in most homes, this is also a great way to incorporate robust soundproofing within a standard contracting process. Specifically, our QT underlayment offers an unrivaled IIC rating. Many floor soundproofing solutions work in conjunction with suspended ceilings in order to achieve their IIC ratings. Not so with QT underlayment. Even with a thickness under 1/2”, it still performs at least 25% better on IIC tests than any other floor soundproofing material. As an underlayment, QT is easy to install, often only requiring minor adjustments, without additional adhesives or tools, in order to fit into the intended space. Plus, it’s made out of 92% recycled tire rubber, meaning it’s an environmentally sustainable product. Proflex™ 90 is another underlayment product that we offer, and it’s specifically designed to be installed under tile, stone and hardwood. Because these flooring materials are more prone to impact vibrations, it’s especially important to use underlayments specifically designed for sound absorption. Proflex™ 90 has an IIC rating of 68 and an STC rating of 72, which is substantial, considering it’s frequently used in conjunction with such hard materials. As a product, it’s also not susceptible to temperature or humidity fluctuations, meaning it’s perfect for both indoor and outdoor applications. One of the issues with soundproofing homes is that some materials, when combined, can often carry sounds in unexpected ways. Such is the case when drywall is attached to studs. Those studs transfer the vibrations hitting the drywall, often throughout the entire structure of the home. The Isotrax™ Soundproofing System is designed to address this specific problem. By adding isolation rails between the drywall and the stud, the sounds impacting the drywall will be absorbed before causing the studs to vibrate. As a result, Isotrax™ receives an STC score of between 52 and 61. However, despite being revolutionary in design, the Isotrax™ system is simultaneously easy to install, requiring just one added step in the drywall hanging process. And it works with both wood and steel studs, making it versatile. As with any solution, proper installation is the key to getting results. Such is the case with all of our soundproofing solutions. While we pride ourselves on offering simple-to-use products, they still require precision. To help contractors like yourself get the most out of our solutions, we provide installation guides and expert advice, ensuring that your soundproofing expectations are not only met, but exceeded. Similarly, there are some simple tools available to help you monitor your installation process. One tool in particular is the ClapIR app. This simple tool lets you measure the acoustic properties of a room. Simply launch the app and then clap in the room. The app will then provide you with data and visualizations to help you get a sense of the acoustic reverberations present. It’s especially effective if you use it in a room prior to installing soundproofing solutions. You’ll be able to clearly see how big of an impact your soundproofing installations are making. This is also great data that you can present to your customer as way to demonstrate the quality of your work! So, while we work hard to make our solutions as easy to install as possible, you also want to have the proper tools on hand to ensure that they’re installed perfectly. Of course, every contract is different and every customer has different expectations. While our solutions are perfect for a wide range of applications, it’s understandable that you would need advice from time to time. Luckily, not only do we offer great soundproofing solutions, but we’re also soundproofing experts, as well. Contact one of our account managers any time and we’ll help you find the perfect solution that’s suited to the needs of your client. We can even help you land on a custom solution if that’s what the job requires. Plus, we offer quantity discounts, which are perfect for any contractor who wants to integrate the kind of robust soundproofing that only we can provide across all of their projects. We’re always eager to form new partnerships with those working hard to build this country. In fact, as a veteran-owned company, we keenly understand the importance of hard work. It’s what makes this country so wonderful, and we love cooperating with other hard workers. 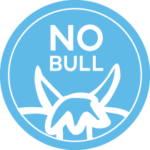 And don’t forget about our NO BULL stamp that appears throughout our site, letting you know that you’re getting a deep discount that can’t be beat anywhere! So, if you’re ready to start soundproofing your home constructions and renovations with industry-leading solutions from experts in the science of sound absorption, look no further than Soundproof Cow!